The Vikings established a name for themselves as traders, explorers and warriors from the late 8th through the early 11th centuries. They also allegedly discovered Canada –or Vinland as they called it before Christopher Columbus set foot on the American Continent and traveled as far east as what we know as Eastern Russia today. 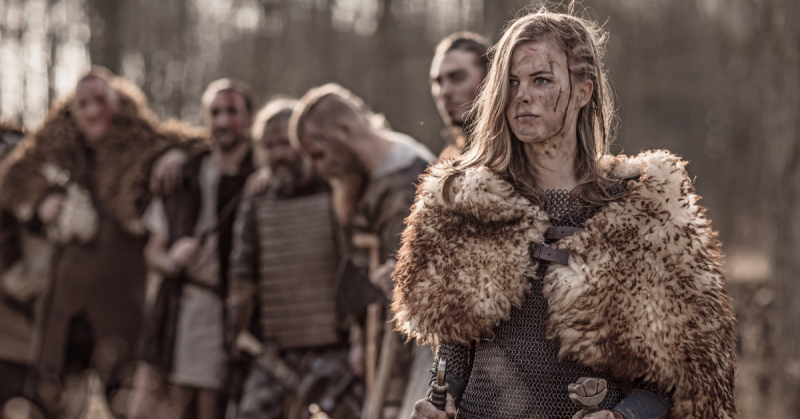 Many view the Vikings as uncivilized people raiding more civilized countries for money and women. But the truth is more diverse than this stereotype. The Vikings were the driving force behind many changes throughout the world, including economics and warfare. The word “Viking” descends from the Scandinavian word for pirate, “vikingr.” But the term is used to refer to overseas expeditions and was typically used as a verb by the Scandinavians when talking about the traditional time in the summer when the men went “a Viking.” Though raiding sometimes took place, mainly the Vikings were engaging in trade or hiring themselves out as mercenaries. 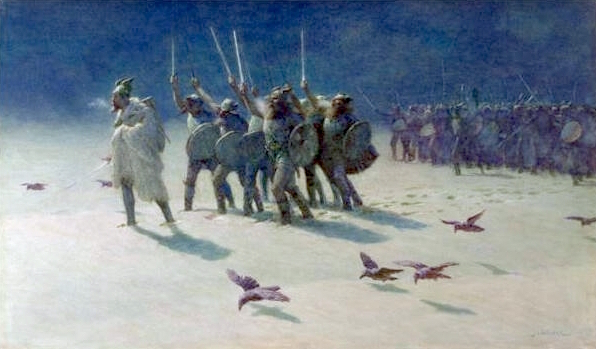 The Ravager, a painting by John Charles Dollman, showing Vikings in cold weather. The Viking Age is generally considered to have run from 800 AD to the 1050s AD. In this time, the Vikings extended their range to the entirety of Northen Europe and raided the coasts of many other nations. There are records of Vikings trading furs, tusks and seal fat as far away as Baghdad. The beginning of Viking movement from Scandinavia is accepted to be the raid on the Monks of Lindisfarne, a small island off the northeast coast of England, in 793 AD. 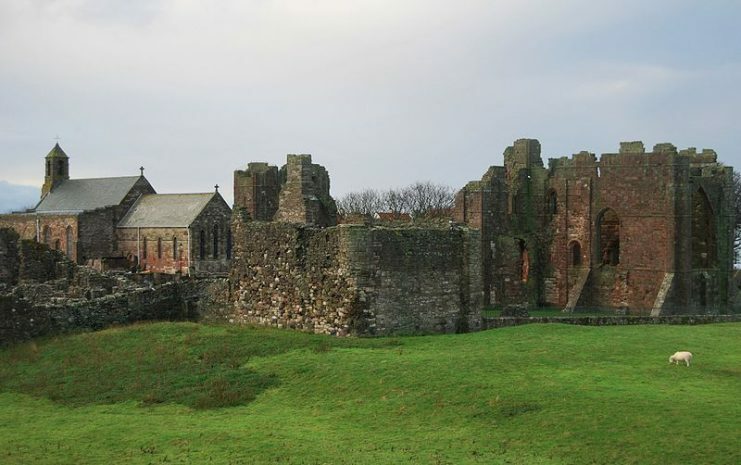 The abbey was widely known for the knowledge held by its monks and for its vast library. 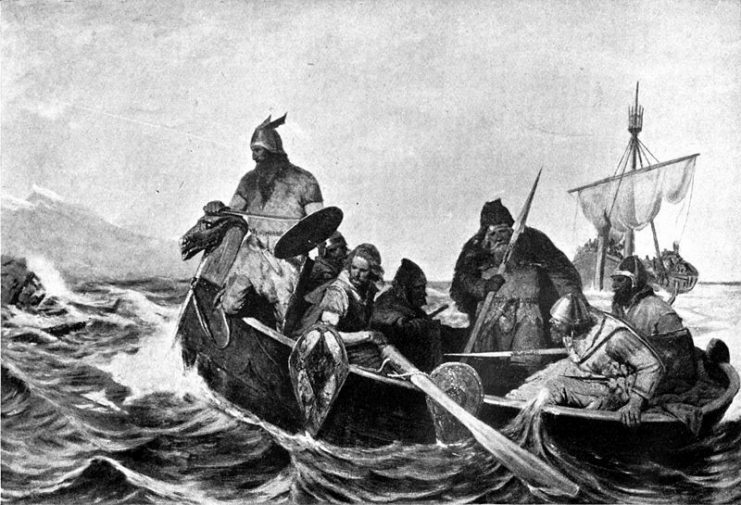 In the raid, the Vikings threw many monks into the sea and took others as slaves. The library was destroyed, and many religious treasures were stolen. From this point on, the Vikings would be seen as uncultured savages who showed no respect for religion or learning. For years following that initial raid, the Vikings attacked along the coasts, raiding villages, monasteries and cities. Due to the frequency of the raids, advances were made in coastal defenses, including walled-in harbors and stone walls along the sea – developments that were proved to be effective at repelling the sea-borne raiders. The Vikings’ reasons for these raids is a source of debate among historians. It seems likely that the attacks were at least partially due to the persecution of Scandinavians by Christians and the forced baptisms of pagans. There are records which suggest that the Vikings were seeking places to live that were more hospitable than the cold, harsh climate of Scandinavia. Still, however harsh the conditions were at home, most Vikings returned there after each season of raids with treasure, slaves and goods to endure another winter. Most of the myths we have about Vikings come from their characterization by the Catholic Church. 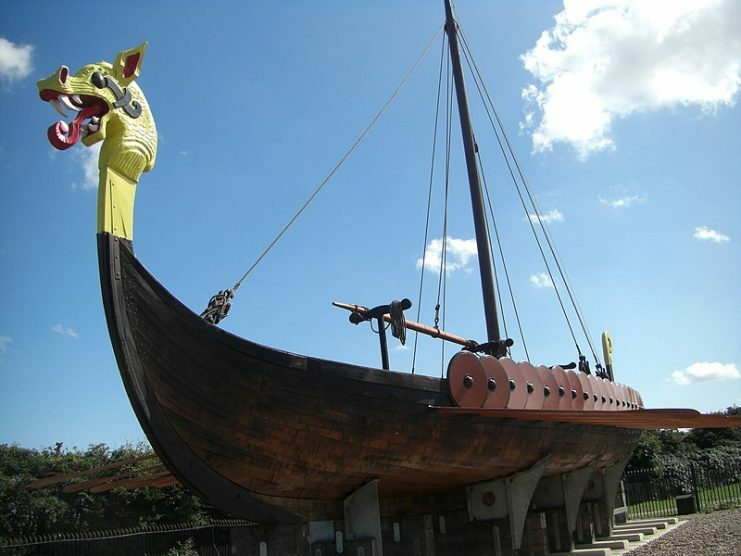 After having many monasteries raided and having many treasures and relics stolen, the Catholic Church used propaganda to dehumanize the Vikings. 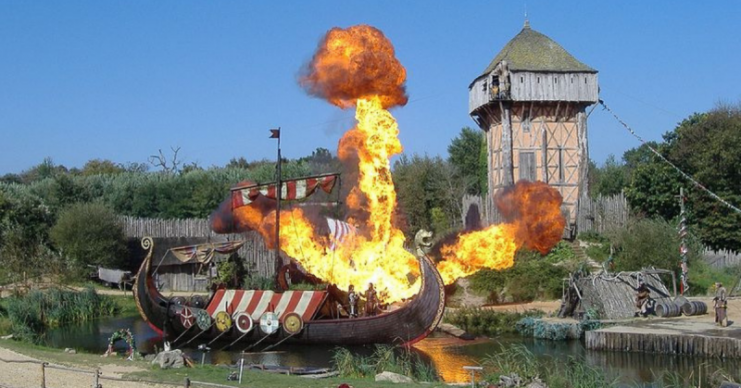 Until the Victorian era in the UK, Vikings were seen as brutal barbarians. 1) Vikings Wore Helmets: Traditionally, Vikings wore nothing on their heads although there are instances of Vikings wearing simple leather helmets. 2) Vikings Were Unclean: Archaeologists have found many combs and other grooming devices, indicating that the Vikings were keen to maintain personal hygiene. 3) Vikings Were Constantly Fighting: It is true that raiding was a significant source of income for the Vikings but many of the men had farms at home which their wives managed when they were away. Once the raiding season was over, the men returned to their tasks at home. 4) Vikings Were Unified: Scandinavians were geographically dispersed due to the nature of the land in the region and the need to conserve the limited amount of valuable farmland. In addition, the success of Christianity in finding converts from the traditional Norse gods further divided the people. 5) Vikings Were Big and Muscular: Farming was difficult for the Vikings due to the limited growing season in the area. Food was scarce and, as a result, the Vikings were typically smaller than commonly perceived.